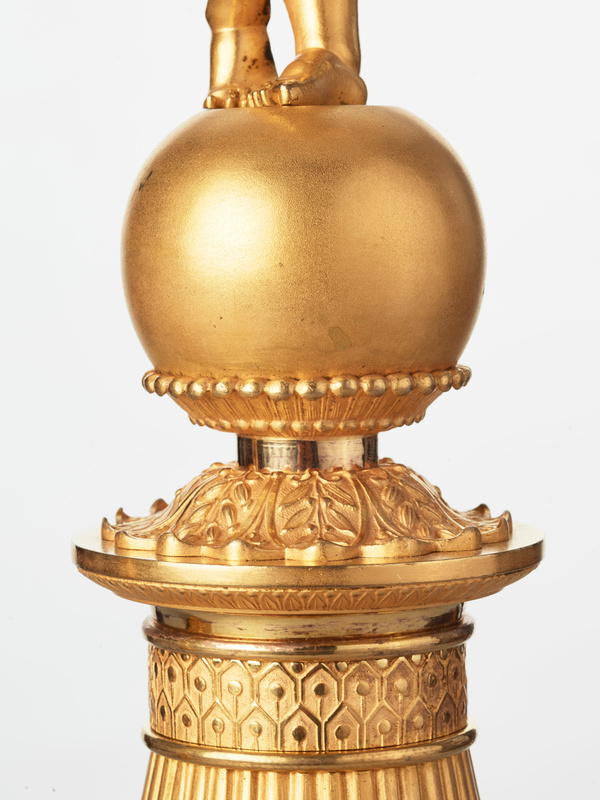 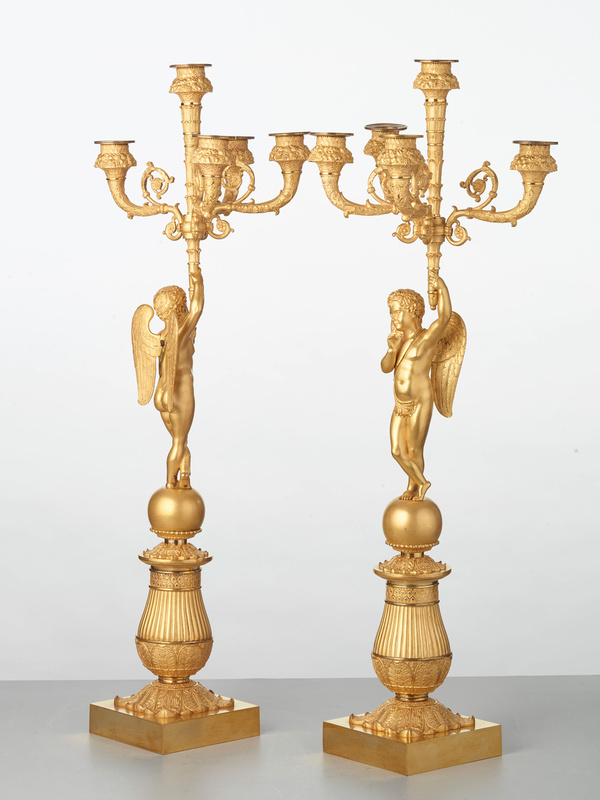 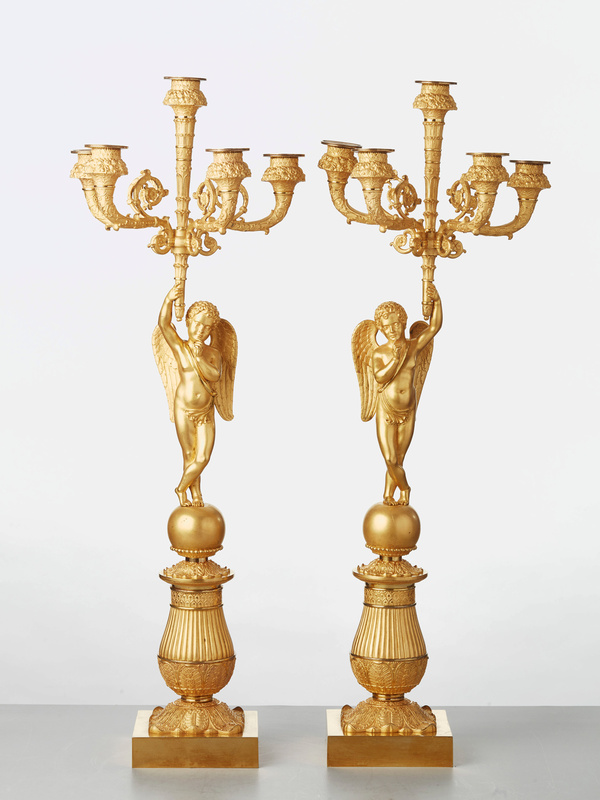 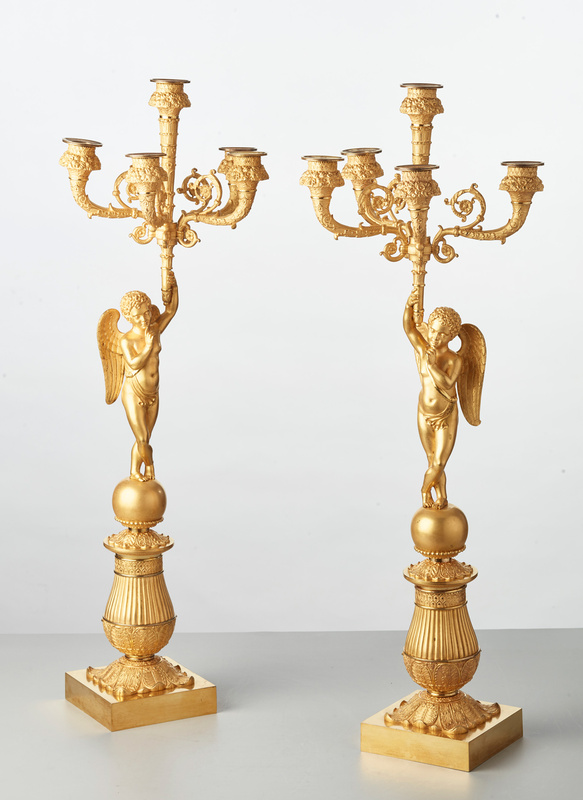 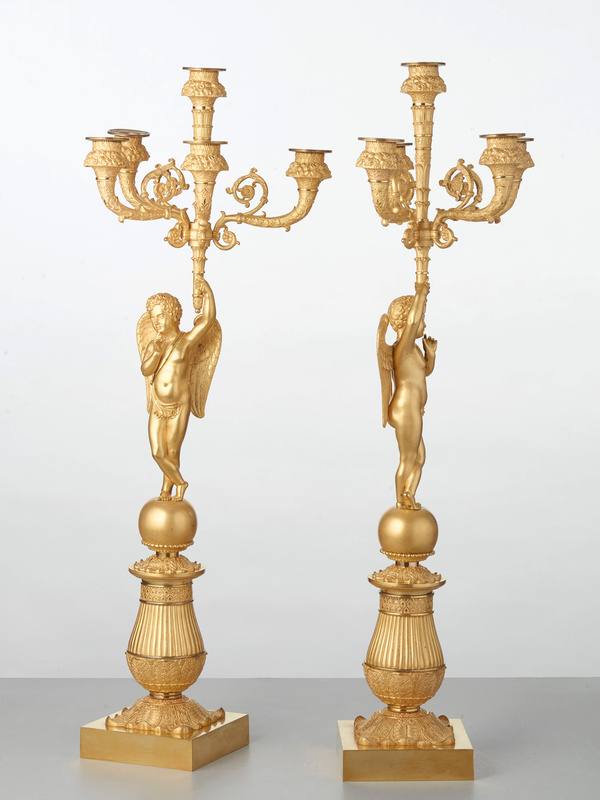 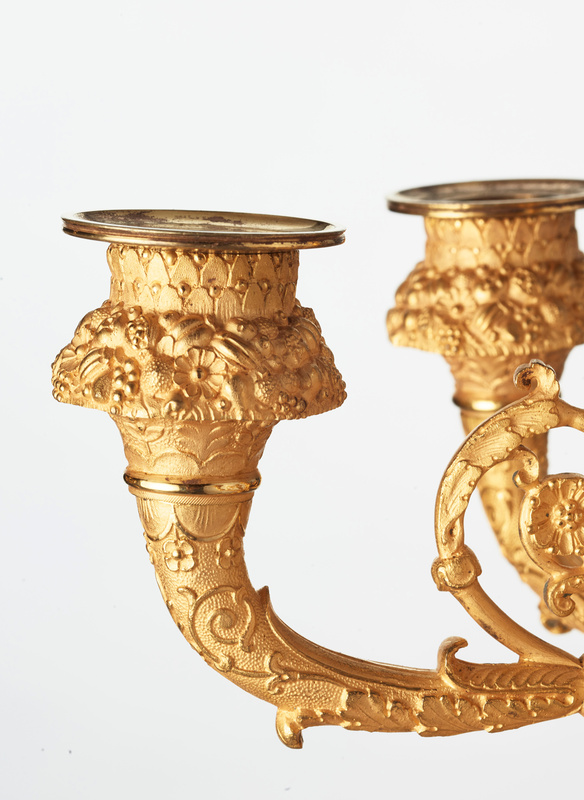 The charming, nicely guilded angels carry the five candle holders, with one arm above their heads. 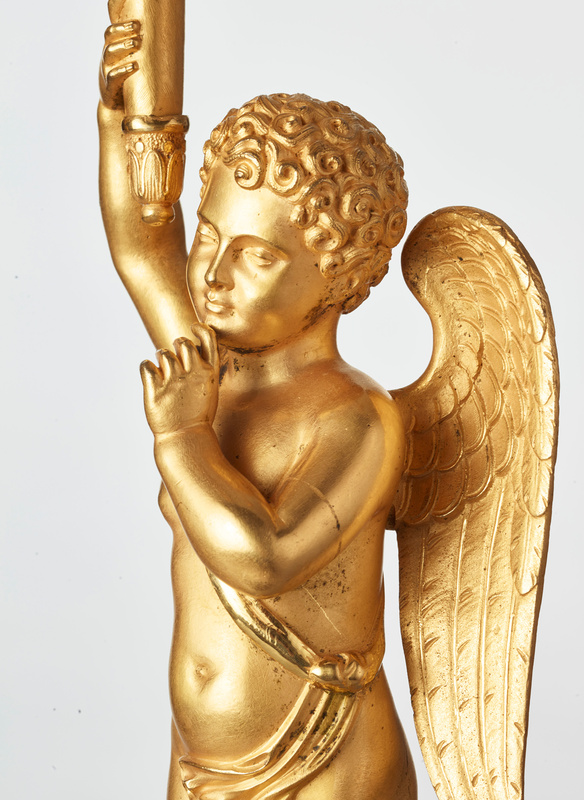 In the other hand, one finger symbolises ‘keep the secret’. 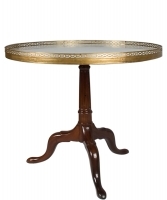 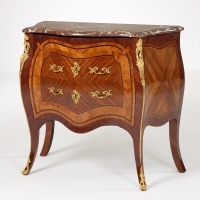 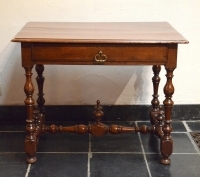 Fitted on a well proportioned, waisted column, on square bases.